WITH FULL OPTIONS INCLUDING LUFFING JIB AND SUPERLIFT. 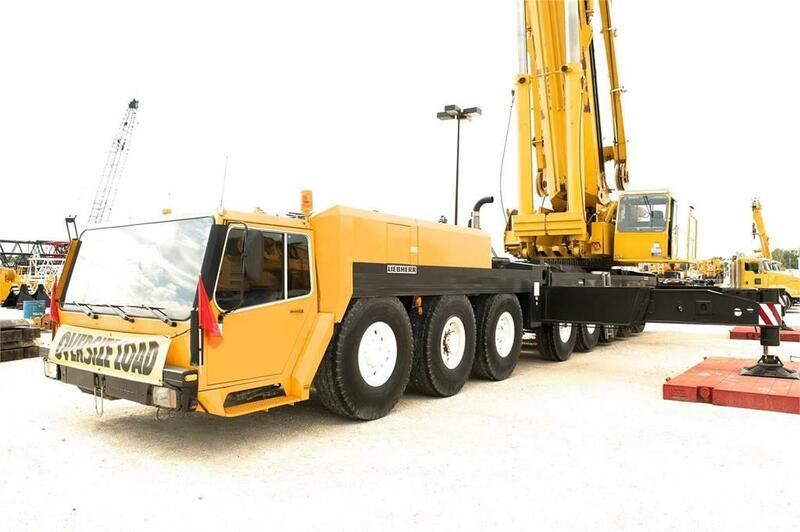 Exceptionally clean and well maintained crane. •LUFFING JIB: Hydraulic lattice luffing jib 69' to 276 feet (84 Meters). We also have a large inventory of spare parts available for this model. Recent repairs: New Turntable Bearing (from Liebherr), replaced seals inside the boom and rechromed the boom telescopic cylinder. Crane is currently OSHA Certified and in service. Subject to availability, Currently located in Texas.